Joe came up with a great name for his soon-to-be-released product. He is proud of the selection and cannot wait to share it with the world. In this moment of excitement, he makes plans to move forward with the name for the new product line in the United States. There is a problem, though: No one has done a proper search to determine whether the name conflicts with one already used by others. Without the benefit of searching, Joe is running a risk of infringing on someone else’s rights, which in turn could force him to stop using a name for which he would have spent a substantial amount of resources. Trademark searching is a crucial yet sometimes overlooked aspect of trademark protection. 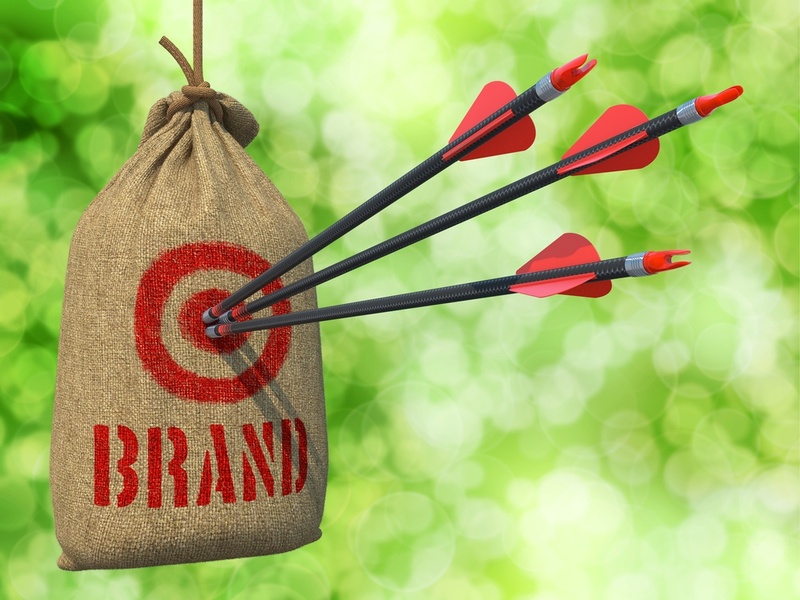 Trademark Searching, if done early, could help identify potential risks and liabilities that exist when choosing to use a name in connection with products or services. So Joe proceeds with a quick search for identical or nearly identical names at the native trademark databases of United States (USPTO) and on the Internet. The purpose of this quick search is to reveal any obvious obstacles that might prevent Joe from moving forward with the selected name. But this search would reveal most conflicting marks that are based only on “common law” rights, i.e., rights that exist based on the everyday use of a trademark in the absence of trademark registration. Note: Common law trademarks may not seem as threatening as registered trademarks. But, common law trademarks if any, that predate the use of Joe’s selected mark, can prevent or at least limit Joe’s plans. In the worst-case scenario, he could be held liable for monetary damages for using someone else’s trademark. Joe needs a trademark clearance search based on efficient and effective search strategies. What strategies should Joe use to get a comprehensive trademark search and thereby avoid significant legal risks? Before we dive deep and introduce you to the strategies, it is important to note the purview(scope) of the search. In Joe’s case, where he intends to use the trademark in the US of A, the purview of the search should evaluate whether the selected term/ mark is available as a Trademark for Protection and registration with the US jurisdiction. > Search should cover the similar and deceptively similar trademarks registered or applied with the US trademark registry, which may pose threat to the registration of the given mark. > The search should cover International Trademark Databases, as an international Trademark application could be a potential threat for the selected Mark. > Search should include all Published, Registered, Expired, and Abandoned Trademarks in the US trademark databases. > All the recently published Trademark journals should also be covered during the search (as the databases may not be updated with the recently published marks). Now that we know the purview, let us walk you through the search strategies Joe could leverage to perform a comprehensive trademark search. A good look at PTO filings for a given mark can often answer whether an intended mark is already in use or not. But it should be noted that PTO filings only contains records of trademarks registered by companies. This kind of searches, though a useful first step, is not sufficient enough to answer the question whether a given mark is in use or not. One needs to look deeper, using different strategies to answer the ultimate question. Here are few strategies from our treasure box that one could use to answer the question- How to find whether the word I intend to use infringes on somebody else’s trademark or not? When looking for a trademark, it is quite possible that any given mark one intends to use, might already be in use in a nearly similar version. The trademark could be either a company/ business organization’s name, or the name of a product or service, or any other alternatives for that matter, being offered by someone. The given registered mark may not be an exact same mark one intends to use, but a very close version, if capable of creating confusion, can stand a good chance of being proved as infringing in the court of law. To avoid that, one needs to conduct an exhaustive search on all relevant databases, for different combinations of search strings on the basis of phonetics and spelling. Below listed are some strategies one should consider while employing search based on variations of a word. Variations in Prefixes and Suffixes: For instance, search for word NATION is incomplete without considering derivatives such as NATIONS, NATION’S, NATIONAL, and INTERNATIONAL. Corrupted Orthography: All the possible spellings variants should be considered while conducting search for a given word. For instance, quick could be KWIK, QUIX, KWIX. Phonetic Similarities and Irregular Plural:When looking for a word, plurals should also be considered. WOMAN could be WOMEN. Also, homonyms should also be taken in effect. For instance SEE, SEA and C are all similar sounding homonyms. Search strings constructed considering Abbreviations, Punctuationand Unconventional Spellings. Searches of Non-Word Marks:Design searches should be covered using the major search databases by using either “design phrases” or “design codes” for Design Marks. For instance, if you were thinking of trademarking a design for a thought cloud, you might want to check out existing designs already trademarked with design code 01.15.17. It is often seen that Trademark infringement if any never go unnoticed, especially if the same mark overlaps with that of a competitor or his product from the same industry one operates in. Such infringements are considered more serious in nature since such practices are often classified as an attempt to take away a brand’s business, since such marks can confuse customers and lead them to buy a product without being aware of the brand behind the same. Consider the example of all the Nike trademark infringement cases from the past. We all know what happened to infringers, don’t we? Though it may sound like a great strategy to make some money, trademark infringement, when proved could result in the infringing party having to pay millions in infringement royalties. Prevention is better than cure. When intending to use a mark for a particular good/service in an industry, it is a good idea to look up all the competing products and services that exist in the industry. No trademark search is ever complete without conducting an exhaustive common law search. As earlier noted, not all marks are registered with the PTO. Also, it is not true that any marks that are not registered, if overlapped upon, are not considered infringed. Common law infringement could be a problem. Hence, it needs to be taken care of. An exhaustive common law search is recommended which constitutes a search of various proprietary business databases, state registrations, and domain name registrations. As noted, these searches are non-trademark searches in nature and would help in finding unregistered marks and prevent any infringement. While we talk about common law searches, one good place to look at is domain registration sections. Domain searches are particularly helpful since domain registrations often lead to websites and businesses that have already begun use of the desired trademark. Additionally, a search should be conducted for common law marks of the literal elements of given mark, including selected top level domain (TLD) and ccTLD name registrations(.com, .net, .org, .biz, .info, .mobi, .tel, .travel, .tv, .asia). If you wonder how that would help, one hypothetical example would be the use of aeromobi trademark (which might be considered infringement since there is a company in existence aeromobil pronounced in a similar manner). If someone would like to use aeromobi as domain name of their website, one way to do it would be using aero.mobi. Similar such variations could be created for any given mark with the inclusion of top-level domain names. That’s why Domain registration search should be on your to-do list. A thorough search with the above-mentioned strategies would show how strong or weak the desired mark is based on how many other people use a similar mark (e.g., names used by no one else or only a few parties are stronger than names used in slight variation by many different parties). The old adage – an ounce of prevention is worth a pound of cure – is apropos in this instance, as the resources spent on the front end to conduct proper trademark searching will provide assurance that the trademark Joe chose is one that he can build a successful business or product line around without worrying about the potentially greater costs and legal liabilities in the long run. Authored by: Geetika Dube, Project manager, Report Generation Team.